We gave you a flavour of the kind of person Derek Howie is when we wrote about him before the May elections earlier this year. Derek had a long career as a social worker here in Edinburgh until he retired last year. He also represented Scotland in speed walking races, competed in the Paralympics in 1976 and he is just about to travel to Orkney tomorrow to run a half marathon there this weekend. 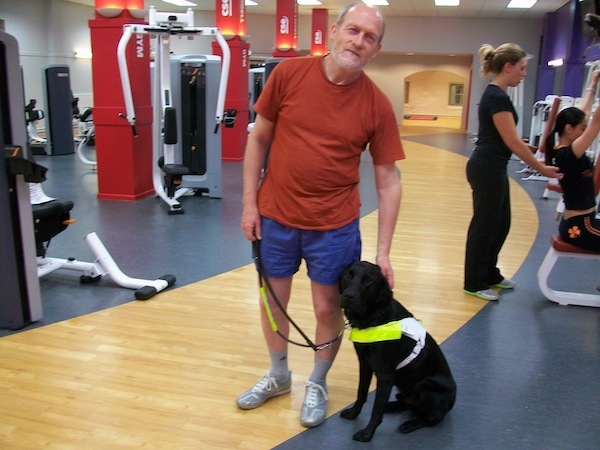 Derek qualified to compete in the paralympics because of his impaired vision, and he explained to The Reporter how he manages to run with a guide – but without Lloyd his trusty guide dog!